First, the Ulysses contract. 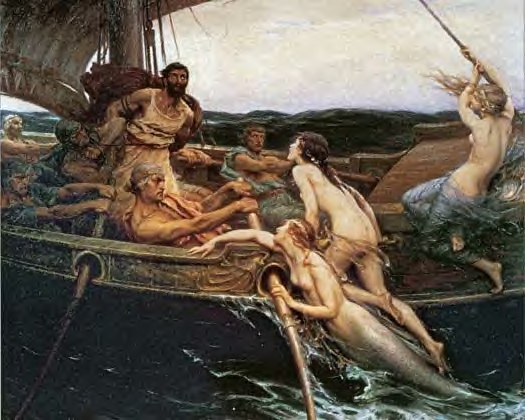 Yeah, I know, his name is Odysseus in the original Greek version of The Odyssey, and it was Circe who put Odysseus up to having wax put in the ears of his crew, while he was strapped to the mast, so he could hear the sirens' song without harming himself or wrecking the ship. The Romans called him Ulysses. And the contract made between the present self and the future self generally became known as the Ulysses contract. We deal with Ulysses contracts all the time without naming them as such. Payroll deductions, Christmas saving clubs, many diets and budgets in general--all Ulysses contracts. James McManus, about to go to Las Vegas and interview lap dancers at the Cheetahs Club, certainly should have foreseen the temptations that awaited him, and he should have done something about it. He should have stopped drinking. In Positively Fifth Street, he divides his self into Good Jim and loutish Bad Jim, but Good Jim should have had a bit more foresight. The Tea Party/Ayn Rand materialists who now control the Republican Party passed a Ulysses contract on the budget, then held President Obama's feet to the fire and nearly shut down the Government over it. The President caved without really knowing what he was dealing with, or so it seems. He lacks both insight and gumption, I'm afraid, when it comes to the Ayn Rand nation. Today I'm reading Gary Weiss's Ayn Rand Nation: The Struggle for America's Soul. I don't like the title, but the book has been very good so far. 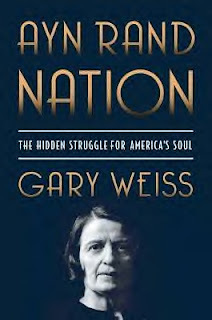 I previously reviewed Thomas Frank's Pity the Billionaire in this blog, and his comments on Ayn Rand and her place in American politics were particularly alarming. Still, it's springtime in Kentucky. I look out the window and see the pastoral land in bloom. Life is good. Cara seru bermain poker terutama kita harus tahu panduan.aturan,dan strategi bermain.Intinya kita yang bermain poker berlomba untuk bisa menang dengan kombinasi 5 kartu yang nilainya paling tinggi. Ciri-ciri sebenarnya tentang agen poker terpercaya adalah mereka menginginkan para membernya untuk menang bermain dalam situsnya bukannya kalah.Karena keuntungan mereka adalah dari kita yang menang.Mengapa bisa dibilang demikian?? Kita tidak perlu daftar 1 per satu karena setelah melakukan sekali pendaftaran di agen bandarq terpercaya kita sudah bisa memainkan semua permainan di dalamnya dengan syarat harus minimal deposit terlebih dahulu. Dalam bandarq online ini peran seorang bandar sangat diperlukan untuk memulai permainannya.Akan tetapi untuk menjadi seorang bandar kita harus memiliki modal yang cukup besar dari bet meja yang akan kita masuki yaitu 10 x dari bet maksimal yaitu ada chip 50 ribu.